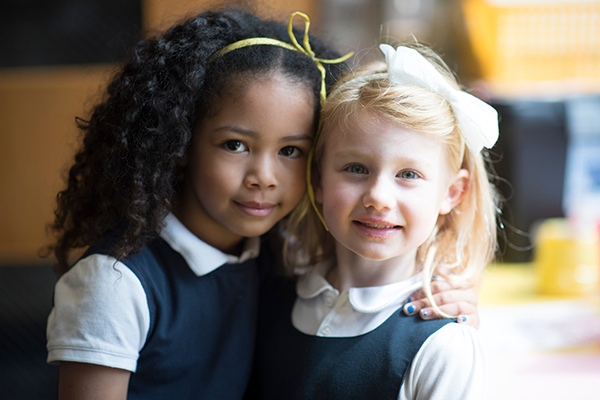 St. Paul Academy and Summit School offers a wide range of academic, arts, and enrichment activities during the summer months. All students are welcome to attend Summer at SPA programs; participants do not need to be enrolled at SPA to participate. Enrichment workshops are offered for students who attend any school. Click on a workshop title below for a full description and registration information. This exciting hands-on, week-long summer camp will be offered for students entering grades 4-6. During the week, campers will design a maze, scale it up to a large model, and then program a robot to travel through the maze they have designed. Campers will then recreate the maze using 3D design software and 3D print a hand-held version, creating a scale model of their maze that they will get to keep! This camp will involve the application of mathematics skills, computer programming and robotics, 3D design, and 3D printing. Teacher: Rick Magnuson is a dynamic and creative Lower School science teacher at SPA. Bring: Your own (nut free) lunch and choice of beverage. Many children just get started drawing and/or painting in their regular art classes during the school year only to be told that it is time to stop, clean up and go to another class or activity. In this one-week summer school all-day setting, students will be able to pursue and develop their drawing and painting skills in a relaxed and small group setting. We will have time to explore a variety of techniques, skills, and materials that will bring out the artist in every participant. This year, students entering grades 3-5 will learn a variety of drawing techniques in the morning and will create a painting in the afternoon that relates to what was learned in the morning. Students will discover color relationships by blending and mixing colors using a variety of media such as tempera, acrylic, pastels and mixed media. Every day of the session, children will be introduced to an artist that relates to what they are experiencing that day through video and/or books and lively discussion. Come with a creative and open mind dressed in appropriate “art-making” clothing! Teachers: Patty Paulus, a recently retired SPA Lower School Art Teacher, returns to develop and teach this new art program called ArtMarks for younger students in this relaxed day-long summer school art opportunity. After teaching art from 1998-2016 at the SPA Lower School and previously teaching K-6 in the Anoka Hennepin School District for 11 years, Patty aka Mrs. Paulus loves teaching this age group and looks forward to sharing her extensive art education background and knowledge with her students. She is a practicing artist and paints in her private art studio in the Dow Building located on University Avenue and Hampden in St.Paul. Patty also has her paintings exhibited with a variety of other local artists in The Dow Art Gallery which is open to the public during regular gallery hours. Many children just get started on a papier mache sculpture or a found object creation in their regular art classes during the school year only to be told that it is time to stop, clean up and go to another class or activity. In this one-week summer school setting, students will be able to create a variety of 3-D projects using materials such as papier mache, wire, found or discarded objects and recycled materials collected from our own homes. Students will have time to explore and experiment with different ways of attaching and building armatures using these and other materials in a relaxed and small group environment. This summer the 3-D construction session will have a “cooperative” emphasis. For instance, students will begin with a large group “construction” which will then inform a smaller individual version created by the student. Another experience would have students creating 2 smaller projects and then contribute one of them to create a large group construction. Being a team player and learning from one another will be fun and informative to all the participants! Come with a creative and open mind dressed in appropriate “art-making” clothing as we will get messy! Teacher: Patty Paulus, a recently retired SPA Lower School Art Teacher, returns to develop and teach this new art program called ART MARKS for younger students in this relaxed day-long summer school art opportunity. After teaching art from 1998-2016 at the SPA Lower School and previously teaching K-6 in the Anoka Hennepin School District for 11 years, Patty aka Mrs. Paulus loves teaching this age group and looks forward to sharing her extensive art education background and knowledge with her students. She is a practicing artist and paints in her private art studio in the Dow Building located on University Avenue and Hampden in St.Paul. Patty also has her paintings exhibited with a variety of other local artists in The Dow Art Gallery which is open to the public during regular gallery hours. Many students just begin a fun project like weaving or stitchery in their regular art class or mini and it is soon time to stop, put away materials and go to another activity or class. In this one-week summer school fiber art experience, children will be able to have plenty of time to explore, experiment and use their imagination in designing and creating art they can enjoy, wear or even use on a daily basis! This fiber art experience will have a multicultural emphasis as we will learn the origins of many weaving designs as well as distinctive art techniques from many other cultures. Besides weaving, students will learn stitchery, puppetry, fabric stamping, paper making, macrame’ and many other skills involving many different types of fibers. Come with a creative and open mind dressed in appropriate “art-making” clothing as we will get messy at times! Do you enjoy playing board games? Have you ever thought about making your own? Join us this summer to learn new games, play them, and understand the inner-workings behind the challenge and excitement. During the second half of the day, let your creativity run wild; we’ll be constructing our own themes, choosing mechanics, and building our games from the ground up. As the week moves on we will play-test our games with one other and get advice from professionals in the game design industry. You will leave with a polished product, a game that’s been imagined and brought to life with your own hands. Teacher: Vito Sauro is creative, positive, and engaging in his daily work with Middle School students at SPA. If you love exploring topics in science and being creative, then this is the camp for you! Creative Science is a combination of science and art. We run science experiments each day that lead us to also doing an art or craft project. An acid and base lab becomes the foundation for glass etching and learning about electrical circuits sets us up for sewing LED bookmarks. Each day has a theme with a variety of activities. Through the week, students build a folder of lab experiments with extensions that can be tried at home. Teacher: Stacy Overgaard is passionate about science and art, and teaches Middle School science at SPA. 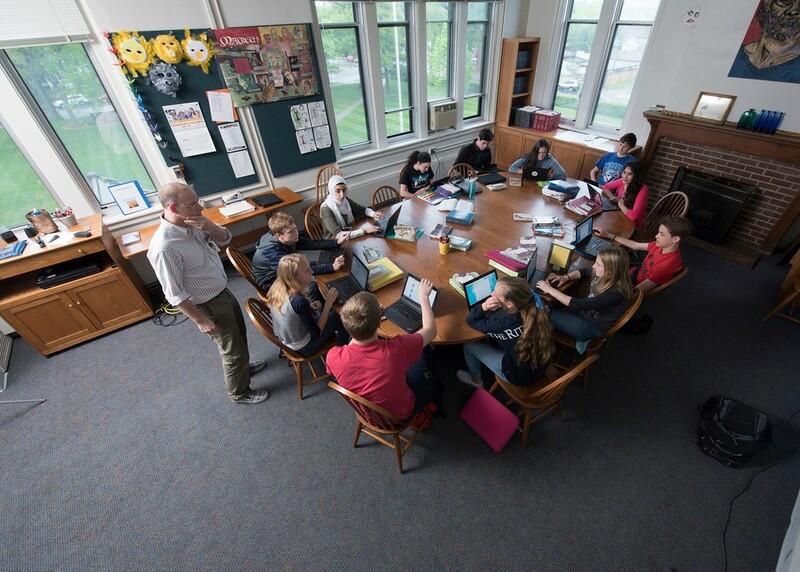 Teacher: Tom Fones is the masterful coach of St. Paul Academy and Summit School's award-winning Upper School debate team. The digital age has put the power to make masterful movies in the hands of regular citizens, but few students (let alone adults) have any clue where to begin. Film & Frolic is part feel-good summer camp, part amateur-filmmaking camp, and entirely about having fun. In the process, we will build a 21st-century skill that uniquely pushes our creative limits. Students entering grades 6-9 will collaborate to conceive, cast, storyboard, film, edit, soundtrack, and produce one or more movies on SPA's varied and picturesque Goodrich Campus and at numerous field trip locations. All post-production editing and sound design will be done by students using Macs and iMovie. We will screen our works on the final afternoon. Additionally, we will enter prominent international student filmmaking competitions. Since 2015, dozens of F&F campers have won major accolades on the national stage. Students will create live-action comedies and dramas, documentaries, music videos, or whatever most inspires them. We will also engage in plenty of good indoor and outdoor frolicking — dabbling in everything from sardines, to world cup soccer, to capture the flag. By camp's end, students will have exercised their brains and bodies, and will have a newfound knack and appreciation for filmmaking. Note: Film & Frolic is offered in two formats: one week (June 24-28) and two weeks (July 8-19). All iMovie experience levels are equally welcome in both sessions! Session 2 provides filmmakers with more time, field trips, and resources to go deep with their movie, screening their draft work to the director, counselors, and campers at a feedback party prior to shooting and editing a much-enhanced final film. The two-week version features twice the field-trip time, doubling the number of shooting backdrops and creative opportunities. Two-week campers who have previously tried the one-week format have reflected afterward that they prefer the two-week format. However, for students who are only available for one week, that option offers a short and sweet path into the fun and boundless world of teen filmmaking. The digital age has put the power to make masterful movies in the hands of regular citizens, but few students (let alone adults) have any clue where to begin. Film & Frolic is part feel-good summer camp, part amateur-filmmaking camp, and entirely about having fun. In the process, we will build a 21st-century skill that uniquely pushes our creative limits. Students entering grades 6-9 will collaborate to conceive, cast, storyboard, film, edit, soundtrack, and produce one or more movies on SPA's varied and picturesque Goodrich Campus and at numerous field trip locations. All post-production editing and sound design will be done by students using Macs and iMovie. We will screen our works on the final afternoon. Additionally, we will enter prominent international student filmmaking competitions. Since 2015, dozens of F&F campers have won major accolades on the national stage. Students will create live-action comedies and dramas, documentaries, music videos, or whatever most inspires them. We will also engage in plenty of good indoor and outdoor frolicking — dabbling in everything from sardines, to world cup soccer, to capture the flag. By camp's end, students will have exercised their brains and bodies, and will have a newfound knack and appreciation for filmmaking. Are you interested in learning programming fundamentals? Are you considering taking Advanced Programming (AP CS) at your school? This camp will introduce students to the fundamental building blocks of programming and problem solving using the Processing language. Processing is very similar to Java so it’s a great language to learn to get a jump start on concepts you’ll learn in AP CS! Processing also makes it easy to create electronic art and animations so it’s a fun first language to learn! This camp assumes no prior experience with programming but will also be fun for students who have not used Processing or Java before. Campers will complete hands-on labs and projects in a problem-based curriculum. Have you ever been published? Would you like to be? Life of a Story is an amazing summer journalism workshop that will put you in touch with artists in the Twin Cities so you can tell their stories on Orca Tribe. Classes meet in the morning, for one week in June and feature guest writers from the Star Tribune and Minnesota Public Radio. In just one week, students will learn to conduct meaningful interviews and to write a full-length feature story. Note that this runs for a week in June and then three additional days in July for a total of 8 days to enable students to fully develop their work. Get some hands-on experience and learn some tricks to woodworking in the Wood Shop at SPA. Campers will learn safety in addition to how to use the bandsaw, sanders, miter saws, various hand tools, and even the laser cutter in an effort to create the perfect puzzle box. This exciting hands-on, week-long summer camp will be offered for students entering grades 4-6. During the week, campers design build and test rockets of all shapes and sizes. They will use Alka-Seltzer, water, and air to launch their ships into the sky. Rockets will be built out of different materials and campers can take them home when they are finished. It will be a BLAST! Teachers: Rick Magnuson and Paul Weaver both teach Lower School science at SPA. This exciting hands-on, week-long summer camp will be offered for students entering grades 5-8. A Rube Goldberg machine is “A comically involved, complicated invention contrived to perform a simple operation.” We will spend the week working to create an impossibly funny, complicated machine to perform a simple task. Each participant will be able to design and build different steps to complete the process. Will you have a spiral staircase of dominoes or a pulley that releases a car? These are just two examples of steps in a Rube Goldberg machine. We will use 3D printing and Laser cutting to design pieces that do not already exist. The tastiest science project ever! This camp will focus on the science and art of mixing, melting, baking, shaping, crystalizing, carmelizing, dissolving and decorating a variety of candies. Students will learn how to follow a recipe, work with different equipment, roll, cut, and decorate with edible ingredients. The real fun comes from creating and testing new recipes, which we might be able to do by the end of the week. Teacher: Natalie Leeman teaches 3rd and 4th grade and Rita Gauscheman teaches art at SPA. SPA offers camps for student-athletes who attend any school in a wide range of sports, including boys' soccer, girls' and boys' basketball, fencing, girls' and boys' hockey, and strength and conditioning. View the Athletic Camps Page for more info. SPA hosts two affiliate camps on its Goodrich and Randolph campuses: the MITY ExplorSchool, an academic enrichment program; and CAMP!, a performing arts camp. The Minnesota Institute for Talented Youth (MITY) ExplorSchool program is a full-day, two-week summer experience for students entering grades 5-7 who are motivated and in search of exciting intellectual challenges. ExplorSchool provides students the chance to dive deeper into their favorite topics, from acting to chemistry, mock trials to robotics, and environmental studies to studio art. 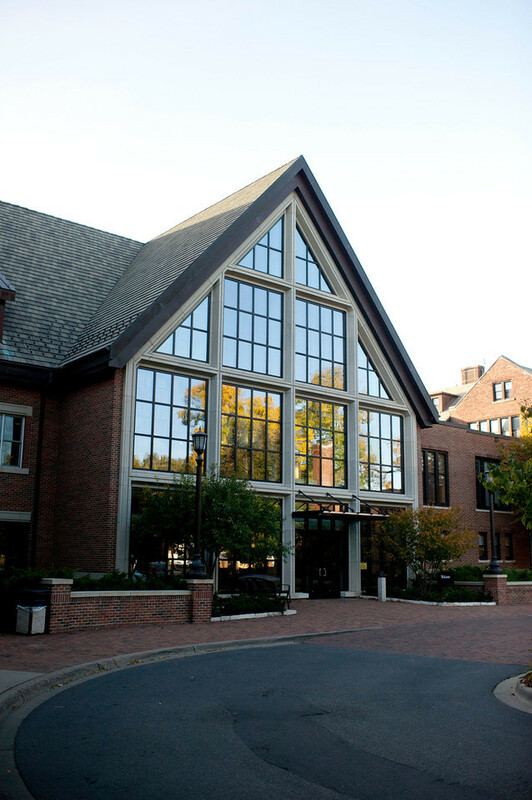 ExplorSchool will be located on SPA's Randolph Campus June 17-28, 2019. Learn more. CAMP! is a five-week intensive theater day camp for children ages 7-15, led by and showcasing some of the best performing arts talent in the Twin Cities. Campers learn all the aspects of stage performance including set and prop design, speech dialects, movement and dance, musicianship and more, while also rehearsing a performance of a full musical which is performed at the end of the camp. More information coming soon. Cancellation policy: We are able to refund 100% of the tuition for cancellations by April 1, 2019. Between April 2 and May 15 we are able to refund 50% of the tuition. After May 15, we are not able to refund any tuition. Please contact Matt Edens for help processing any cancellations.